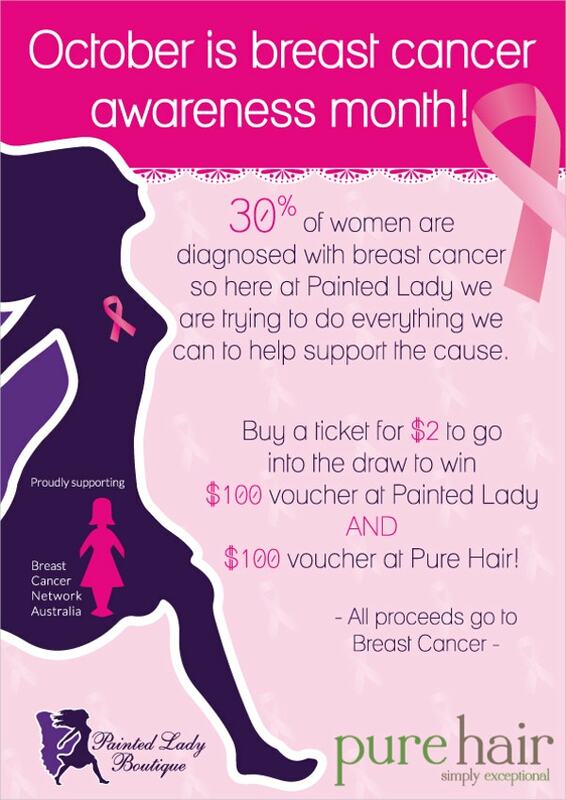 The month of October is the Breast Cancer Awareness month. 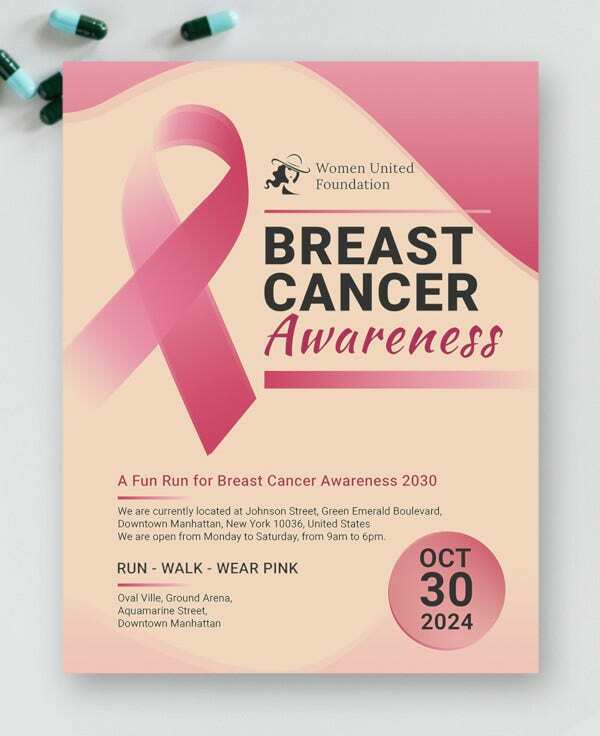 It is already around the corner and that is why we have gathered fifteen breast cancer flyer templates that you can use for benefit events, fundraising, and other programs that raise awareness about breast cancer. 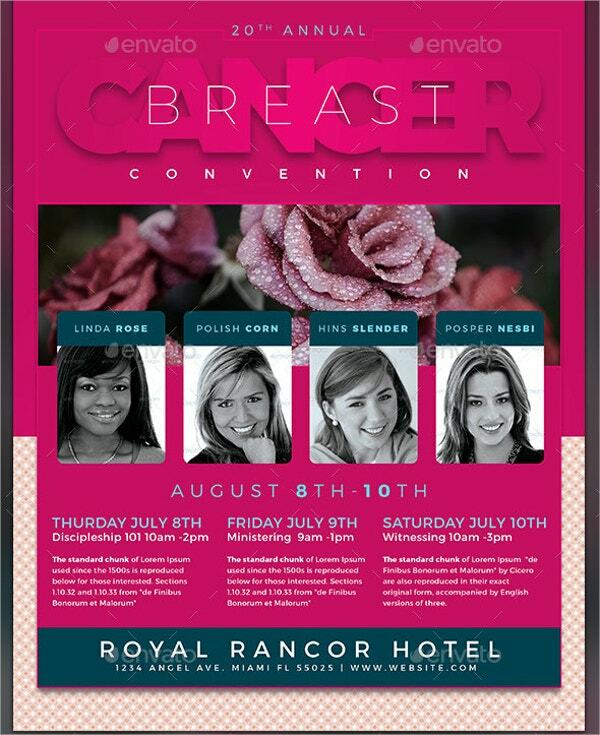 These flyer templates can perfectly represent how important it is to talk about breast cancer. 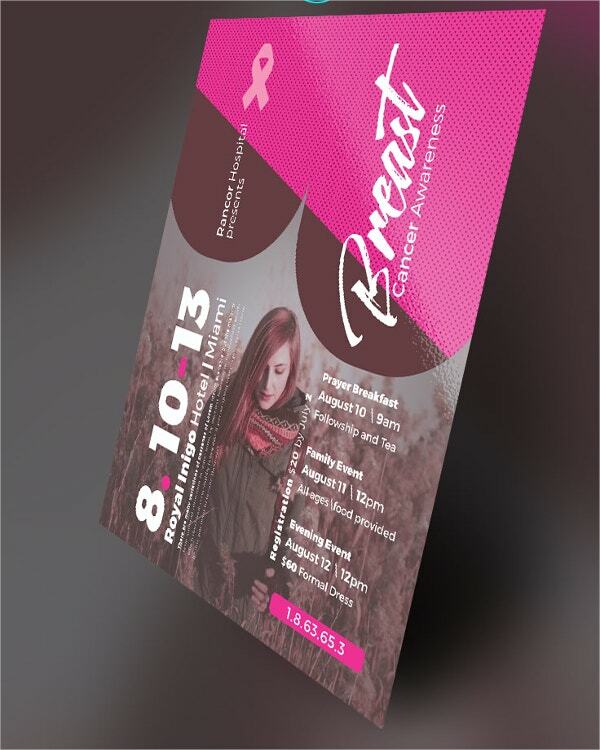 Most of these PSD Flyer Templates have pink ribbons that symbolize breast cancer. Be sure to check out this list. 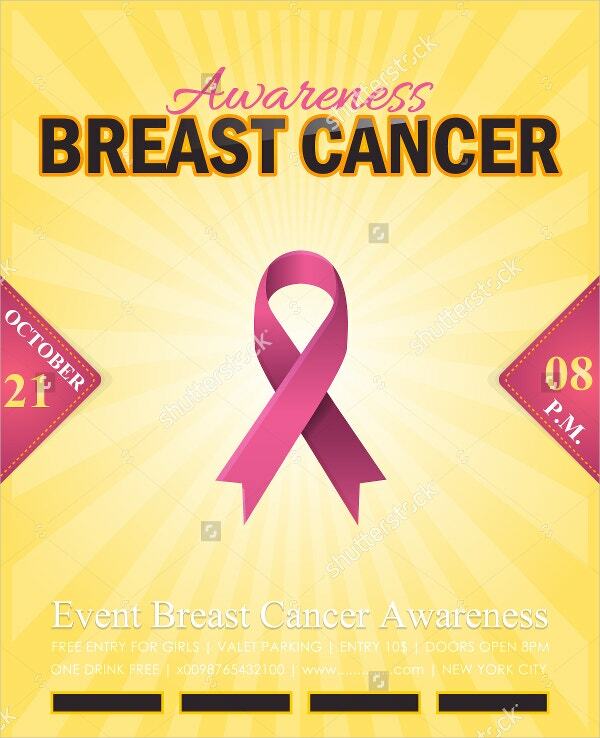 This Breast Cancer Awareness Flyer’s vibrant colors and clean design will definitely catch everyone’s attention. There are two Photoshop files available for download, custom color options, and an easy-to-follow tutorial. This Breast Cancer awareness flyer from Seraphim Chris has a modern look that is perfect for today’s generation. The solid font selection is great to enhance your message and cause. 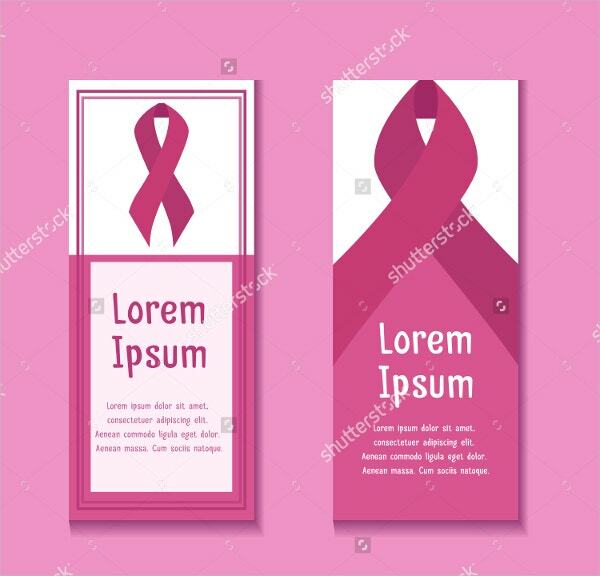 The pink ribbon symbol of the fight against breast cancer is very visible in this template. There is no doubt that your audience will clearly get the information and message. 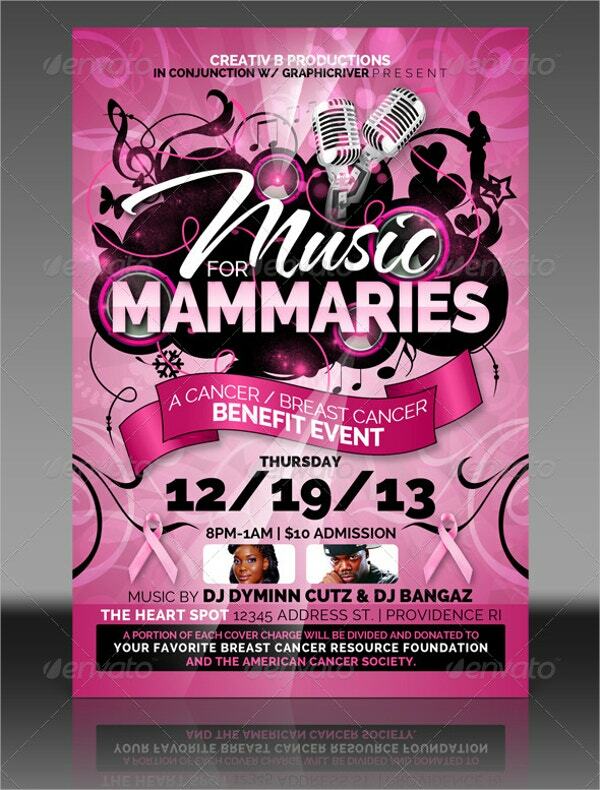 This breast cancer flyer or invitation template is perfect if you’re planning a party, a fundraiser, or a benefit concert for breast cancer awareness. It comes with four print ready Photoshop files. 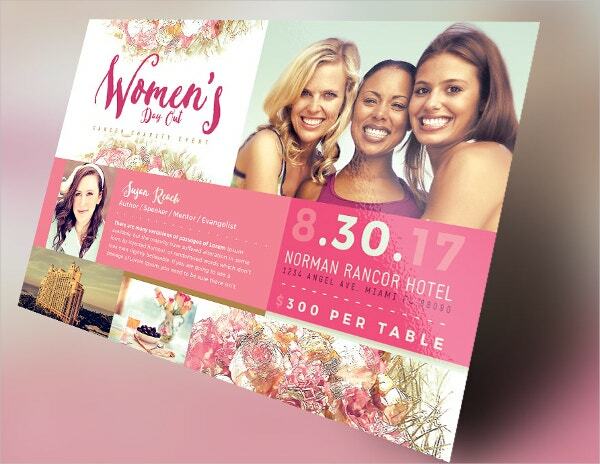 This flyer template looks lovely and brings out a positive vibe that can lift up everyone’s spirit. You can also use this for other events. It includes two Photoshop files. 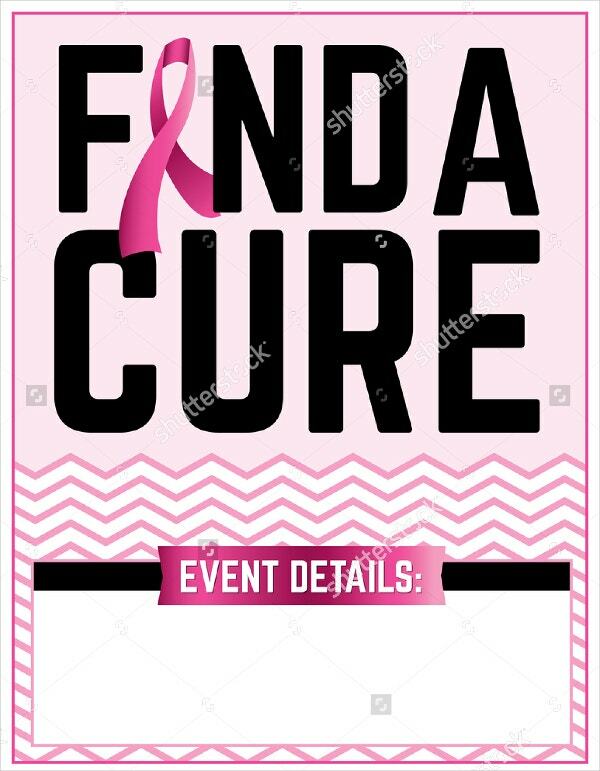 This Breast Cancer Find a Cure template encourages its readers to help raise awareness in finding a cure for breast cancer. The solid text is direct and won’t confuse anyone. 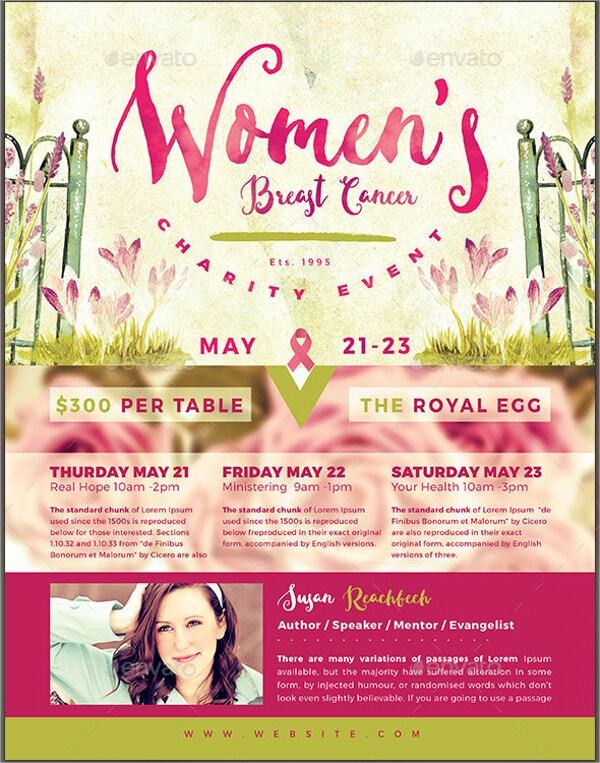 This Flyer Template for Breast Cancer looks uplifting and emits a feminine vibe. The typeface suits the theme very well. You can download two Photoshop files and a tutorial with this. There is no doubt that pink is the color of breast cancer awareness. This template shows this perfectly. The pink ribbon that symbolizes it is all over the page. 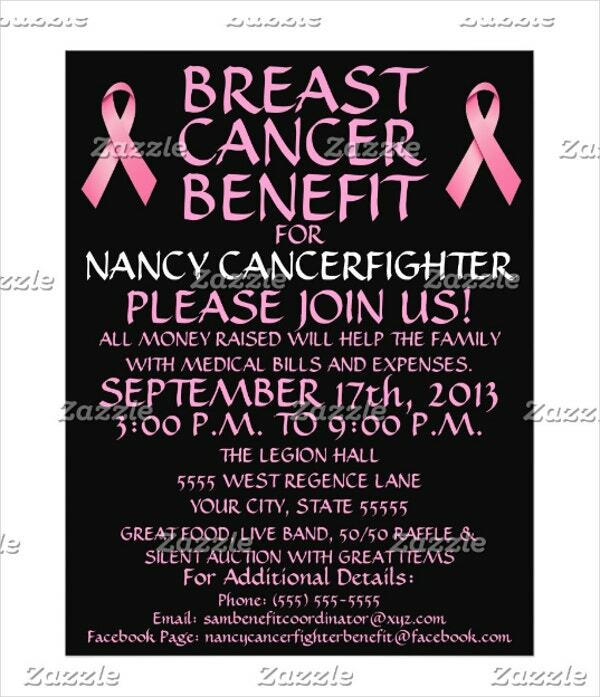 This breast cancer flyer template has a contemporary layout that is easy to edit. The download link includes two Photoshop files. 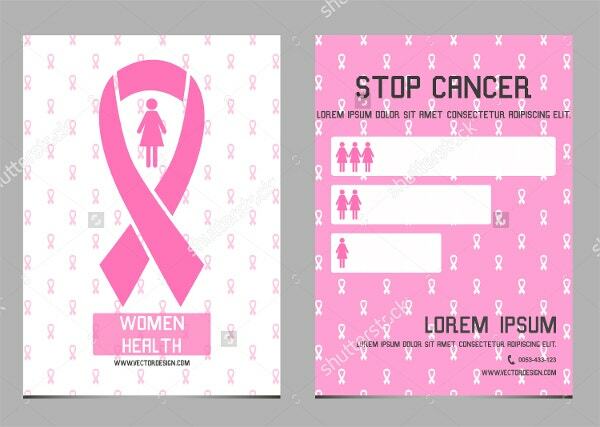 The graphic in this template perfectly represents breast cancer while also showing how powerful a woman can still be. The lace is also a nice feminine touch that you’ll love. 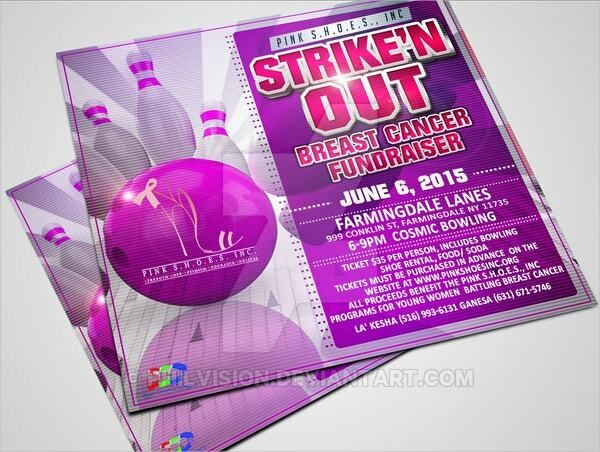 This flyer template is easily customizable so that you can upload your own images and graphics. The solid black background is perfect and so the texts are fully visible. 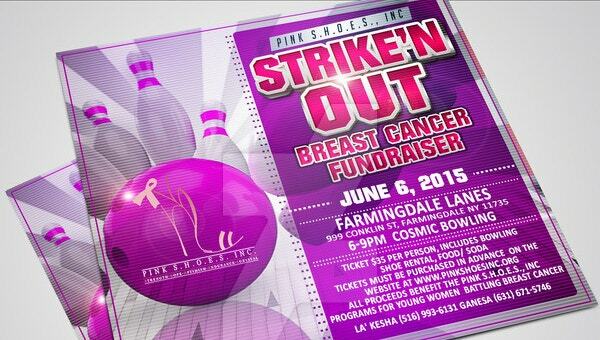 This breast cancer flyer is a perfect template that truly represents breast cancer. The image is very accurate and perfectly suits the topic because of the pink undergarment and the missing strap. You can also see Free PSD Flyer Templates. 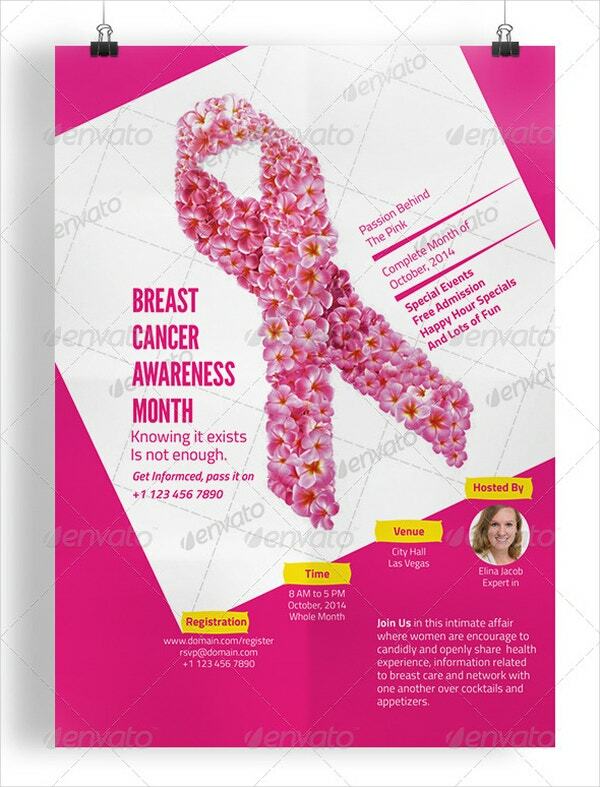 The breast cancer flyer templates above will surely captivate the interest of your readers and audience. 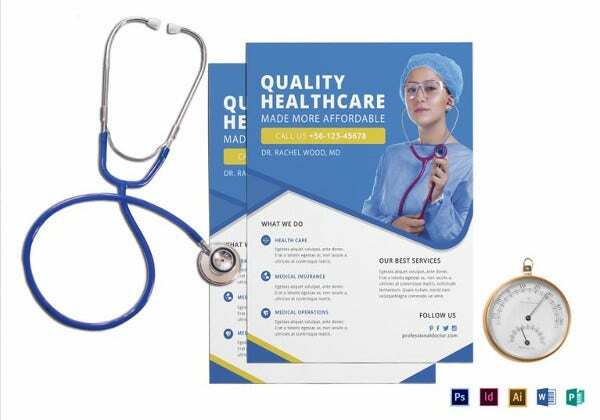 There are an increasing volume of medical flyers out there. So we hope we are able to help you choose one that you can perfectly use for your fundraising campaigns, events, or any invitations.